Okay, I didn't want to feed into the swine flu mess because we're all so tired of it. I opted to show you guys the quirky masks anyway, and I broke my rule again with this one. But come on, this was just way too good to pass up! 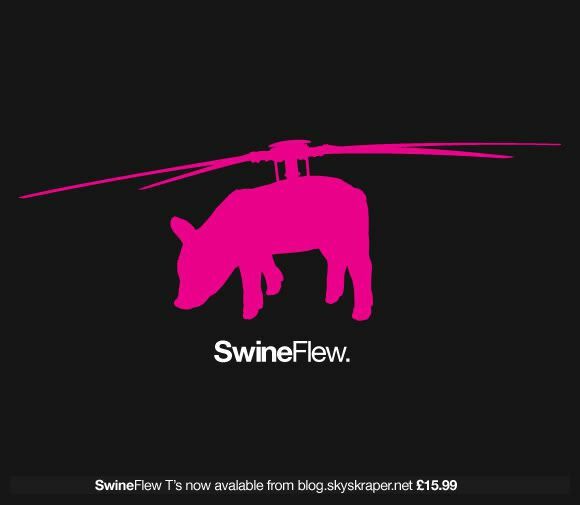 Swine flu/flew....just too great. I'd love to actually see this on a shirt.